Being green seems like a big deal to many people… too hard, requires giving up too much, just in general an awful thing. It doesn’t have to be. There are a lot of things you can do to be green, big and small. Just how far you commit is up to you. Here are some ideas that may help you learn how to be green. Not every eco friendly family goes vegan or even vegetarian. You can improve your food in other ways if that’s what you’d like. There are healthier and more eco friendly ways to buy meat than buying factory farmed meats, for example. You can also pay attention to the sources of your produce, going for organic at least on some of your foods, if not elsewhere. Perhaps the best thing you can do is cut way back on processed foods. Eat more foods that you’ve cooked yourself, so you can avoid high fructose corn syrup, preservatives and so forth. They’ll generally be better for you, especially if you cut back on sugary foods. A big part of being green is simplifying. Cut back on the stuff you buy, and you’re doing better by the environment. You don’t have to simplify everything. Look at what you can do easily first, and what will work for you. Not everyone can take mass transit of whatever sort to work, for example. Your family may need two vehicles. Don’t feel bad that you can’t cut back in some areas. Look at where you can. Lightbulbs, for example. CFLs are more efficient than traditional lightbulbs, and will save you money in the long run. You could also switch from paper napkins and towels to cloth. The difference in laundry is pretty small, in my experience, but the difference in waste is clear. Houseplants are wonderful for your indoor air quality, plus they look nice. Pick something that grows well indoors and find a place where you’ll remember to take care of it. I love my orchids. Vegetable garden, flower garden, doesn’t matter. Vegetable gardens are wonderful because you have control over the pesticides and fertilizers you expose them to. Flower gardens can be great for the bees in your area. I particularly like wildflowers for that. A big, green lawn is appealing to most people, but it’s also hugely wasteful in many ways. Lawns use up a lot of water, and have to be mowed regularly. For most people, mowing involves either gas or electricity, but you can consider a simple push reel mower. You can also reconsider the fertilizers and weed control you use on your lawn. Runoff from lawns can be an issue downstream. But a lawn isn’t your only option for an attractive yard. You can xeriscape, often quite attractively. You can replace parts or all of your lawn with other plants that require less care. You can add a tree to your yard, which can increase the shade in your yard so it may need less water, and if it’s close enough to your house, may help keep it cooler in summer too. If you can spare the space, composting is a wonderful way to limit the food waste you throw in the trash. From the traditional compost bin to bokashi composting , there are options to go in many different spaces and situations. Best of all, compost goes wonderfully with your garden. There are all kinds of chemicals you may be using to clean your home. Many of them can be changed for more eco friendly options. 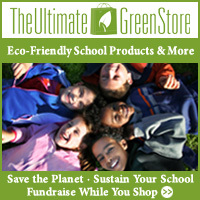 You can buy green cleaners at the store (beware of greenwashing – not all are what they seem!) or learn to use simple ingredients such as vinegar and baking soda for different cleaning jobs. There are all kinds of ways to find secondhand items. Thrift stores, garage sales, family, Freecycle, Craigslist… the list goes on. Some of it will be in great condition still, and you’ll save money. The selection can be rather random, of course. Family is great if you have kids of the right age. My sisters and I have handed down clothes from child to child for years, and I can’t begin to figure out how much that has saved us. None of these are absolute musts to live a greener lifestyle. You may find other changes easier to make than these. Just keep the general concepts of making your life simpler and using fewer resources when you can in mind, and that’s a start.